The town of Bratsigovo is situated 420 m above sea level in the Rhodopes, on the two banks of the Umishka river. The settlement developed rapidly during the Revival and in 1831 the first monastery school was set up. 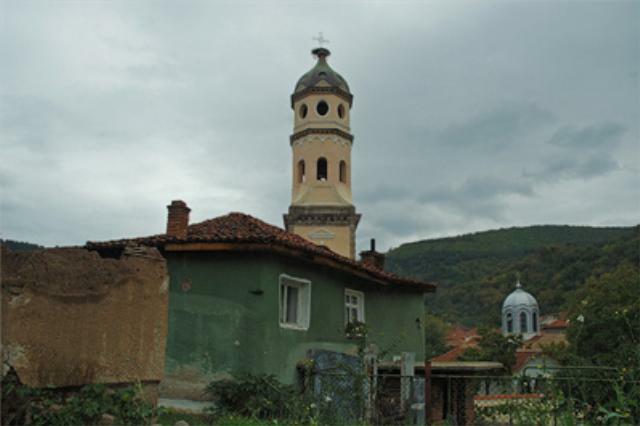 Today Bratsigovo is a town of rich cultural and historical heritage. The Museum of History, the church “St. John”, the home of Vasil Petleshkov, Djambovata house and Lukovata house are among the most interesting sights to the tourists. There are nine springs with exceptionally good healing qualities found in the vicinity of Bratsigovo. The resort of “Vasil Petleshkov”, also known as Atoluka, is located 16 km south of Bratsigovo. The scenery around Bratsigovo is picturesque and the small town is the ideal place for people who seek tranquility in the open. There are several cozy hotels built especially for the tourists. In the vicinity of Bratsigovo the tourists can visit: Chudnite mostove (Wonderful Bridges), Starosel, Bachkovo monastery.